I don’t know why I didn’t really get into Graceling. The premise sounded interesting, and this book has been on my TBR since forever. Yet now I read it, it doesn’t feel like I will remember this book for long. Katsa is Graced. Marked with two differently coloured eyes, she has the ability to fight a whole army with her bare hands, and come out of the fray alive. Since her Grace has manifested, she is being used by her king as a political pawn. She is sent on missions to carry out his law, even though he can be cruel and petty in his judgements. I think my main problem with this book is the heroine, Katsa. A great deal of this book focusses on her relationship with the romantic interest Po. However, Katsa seems to be completely oblivious to all signs of affection, making me want to face-palm at multiple events. When she finally did understand Po actually cares for her, she keeps pushing him away, repeating her “I won’t marry” mantra. The thing is, I could understand the not-marrying thing, if Katsa had a truly good reason for it. However, this reason is never fully explored. I guess it could have something to do with her dominating uncle, but that still doesn’t explain her extreme fear of commitment. She hasn’t been abused by men. She has no bad experiences with her parents’ marriage, because she never had parents. I have seen some people calling Katsa “feminist” in their reviews, but I would never use that term in this context. Katsa is no feminist. She only pushes people away, not because she doesn’t need them, but because she is afraid to be close to anyone. She has very few friends, and the tiny handful she has, are all people she needs in her quest to protect the commons from the King. I wouldn’t call this trait a strenght, but a flaw. Because I didn’t react well to the heroine, I was kind of counting on the plot to carry me through the book. Not so lucky for me, the plot is not that strong. There is some minor mystery, and some nice action and a stir of tension, but nothing that keeps you turning the pages. The main focus of Graceling is truly Katsa’s transformation. I am glad she did transform a bit in the end, or this wouldn’t have been a 3-star rating. 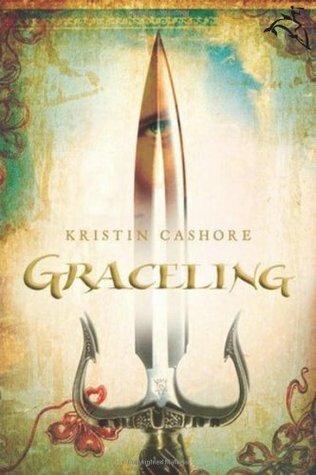 Graceling has a delightful sidecast which make me curious of the other two books in the series. Especially Bitterblue, the tiny princess, seems like an interesting character that I would love to read some more about. If I wasn’t reading this book for a challenge, I probably wouldn’t have finished it. I’m not sure if the ending makes the effort worth it, but in my opinion it was probably the best part of the book. 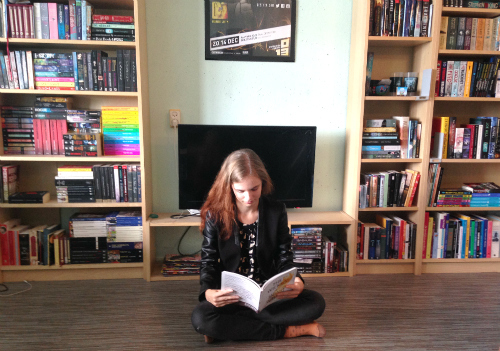 If you’re looking for a captivating young-adult high-fantasy, I would not recommend Graceling. If you can overcome and even start to love Katsa’s personality, you will enjoy this book quite a lot. When she first meets Prince Po, Graced with combat skills, Katsa has no hint of how her life is about to change. She never expects to become Po’s friend. She never expects to learn a new truth about her own Grace—or about a terrible secret that lies hidden far away . . . a secret that could destroy all seven kingdoms with words alone.